_Botanical Medicine is a natural, safe and effective therapy that utilizes the healing properties of plants. High quality teas and tinctures extract constituents that work on a biochemical and energetic level to restore wellness. Hippocrates said “Let Food be your Medicine.” What we eat affects us on every level of our being; physically, mentally and emotionally. We truly are what we eat as the nutrients and vital force of that food integrates into our cells and becomes the vital force of our bodies. With clinical nutrition, I seeks to promote health, address deficiencies and treat disease with personalized food plans, allergy and sensitivity assessment and, when necessary, high quality vitamin, mineral and other nutritional supplements. Homeopathy utilizes natural substances to stimulate the body's ability to heal itself. This treatment is individualized based on a person's particular symptoms and constitution. The goal of homeopathy is to correct the imbalances of mind, body and spirit to promote health. Homeopathy used for acute conditions such as colds, chronic illness and to improve emotional wellbeing. It is a fantastic treatment for children's ailments since it is very safe and easy to administer. 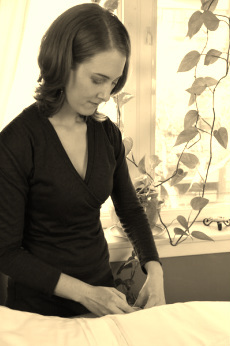 My role as a naturopathic doctor is to support you on your journey of self healing. Physical dis-ease often points us towards deeper emotional wounds. I seek to create an safe space to explore and heal all aspects of ourselves with mindful awareness, self love and compassion. Simple lifestyle changes can make tremendous health improvements and prevent future illness. Implementing change is a challenging process. With education and support you can make healthy choices for life for yourself and your family.